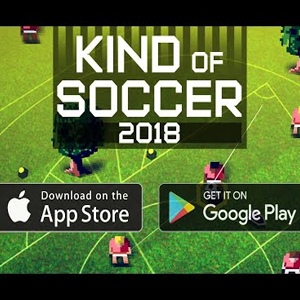 Kind of Soccer is a mobile game where the goal is to hit the referee. Whether you call it football, soccer, or something else, Kind of Soccer is an innovative mobile version of the Beautiful Game. Rather than declaring a winner after calculating the amount of times that a particular team has put the ball in the back of the opposing team’s net, Kind of Soccer has a different method of score-keeping. You don’t need to score goals at all. All you need to do is kick the ball as hard as you can at the referee. That’s right. Soccer has a reputation for treating its referees with as much respect as possible (and you have to respect how much they run around, no matter how many calls they get wrong). Kind of Soccer, on the other hand, lets users release all their pent-up rage by launching balls at the referee. Scoring points in Kind of Soccer is more difficult than it sounds. Although the game begins easily enough, it quickly advances to a tough point. 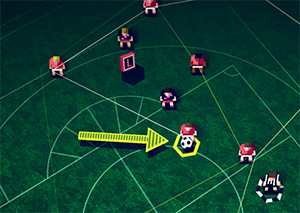 The game continuously adds in obstacles, such as opposing players, in order to make it harder to hit the referee without losing the ball. If you do miss the referee or lose the ball to an opponent, the other team receives a point. If you hit the referee, you receive a point. The games progress to a certain score, and then the levels advance. It’s a fun, moving-puzzle-type game that’s worth trying out, whether you call it football or soccer, play the game or don’t. It’s not soccer, after all—just kinda.